Freedom is a ghost story – but a decidedly different kind of one by Maria Rachel Hooley. 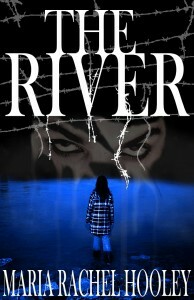 She’s also kind off to contribute THREE ebooks of her novel The River for a Zombiepalooza giveaway! More info about The River and how to enter follow after her story. The light bulb buzzes, flickers, and dies. Buzzes, flickers, and dies. The bathroom faucet drips–plink, plink, plink. The toilet won’t shut off. It runs constantly. The kitchen is filled with dirty dishes piled with rotting food, a feast for the roaches. Dirty steak knives pile upon each other like metal pick-up sticks, and even in the faulty fluorescent lighting, the glare of blood on the serrated steel can’t be ignored. I wander from the kitchen toward the bedroom, but I won’t go inside. Period. I haven’t in the six months I’ve been trapped here. Since I was alive. From the doorway, I see the bed, and the same pillow–the one I bled out on. The stain covers most of the pillowcase and the pillow. But Shari argues with me, positive that it’s her blood, not mine. Who can tell? It’s not like either of us see very well, only in the evenings when he leaves the lights on by accident because he’s so coked up that he’s only really here in the sense of body mass. Right now he’s not even here in that sense, but he’ll be back, and he won’t be alone. Last night I saw him fondling the braided strand of my hair he keeps and tuck it under the blood-stained pillow. Then he grabbed the strand he’d kept from Shari and put it next to mine. A key turns in the lock, telling us he has returned. As the door swings wide, I see he is not alone, never alone, as another blonde with blue eyes who might have been mistaken for my sister staggers into the room. As he follows her, I compare his brutal size to her diminutive form, and know that her petite 5’2 frame stands no chance. Her eyes glazed, steps uneven, she laughs so loudly that I can’t believe the sound comes from someone so small. Her mouth, painted bright red, is smiling. Her body, barely contained in a Spandex tank top and denim miniskirt, advertises her charms. The room reeks of flowers as her perfume fills it, and I wonder how long that smell will linger against the backdrop of death. His hands are on her, all over her, and I shudder, remembering what his fingers felt like. There are some things which transcend flesh. He shakes his head. “No.” Then he goes back to kissing her, his body pressing against hers hard, herding her toward the bedroom. Shari and I rush toward the kitchen, toward the bloody pick-up sticks on the counter. I reach for one, and she reaches for another, but our hands barely move the blades. “What are we going to do?” she asks, frantically looking over her shoulder toward the living room. Has he taken her into the bedroom yet? “Let’s both try together.” I squint at the pile and settle for the big butcher’s knife on bottom. Pinching the bloodied steel between my forefinger and thumb, I wait for Shari to wrap her fingers around the hilt and hope we have enough of whatever we need to move it. Together we count. One….two….three. The feel of gravity is overwhelming, and I’ve never lifted anything so heavy. I can tell by Shari’s face, she’s faring no better, but neither of us give up. A knife atop the pile shakes and falls to the counter. Then another. I hear footsteps. He’s coming. At first I think he’s heard our noise, but then I see, he, too, has come for a blade. With careless ease, he scatters the knives from the precarious pile; half of them clang into the sink, a third falls to the floor, and the others spill across the counter. His hand darts out and snatches the long blade next to the butcher’s knife. Holding it against the kitchen light, I see dried blood on the serrated edge. Was it my blood or Shari’s? Both of us step back, as though the knife wards us with promises of future pain. It does not matter we are beyond that. I will never forget the face of the man who killed me and how it shifted from normal to something surreal and demonic. I saw it in the eyes first, how they seemed so friendly only to narrow to angry slits. I lay on the bed, already half-naked from his coaxing. He held a knife in his hand. I raised my arms, trying to deflect it, but flesh is no match for steel. Shivering, I force myself back to the present where he whirls around, heading to the living room, back to his latest victim. We look at the swinging door, its volley back and forth slowly diminishing. “He’s going to kill her! We have to try again,” I whisper, reaching for the knife. In the weak light, I see Shari’s fingers wrap around the hilt, joining mine again in trying to life the knife. Although the rest of the blades now lay scattered from his touch, the knife still seems so heavy. I narrow my eyes to slits, concentrating. The blade slowly lifts. Shari and I look at each other in astonishment. For six months we’ve been trying to move things, but perhaps they were the wrong things, like outer doors and windows, ways to escape a place we weren’t meant to escape, at least not while he still lived. “What now?” Shari asks, her gaze flickering from my face to the door which has almost stopped swishing back and forth. “We can’t use it, but she can!” I whisper, knowing that even if we tried to stab the psychopath, even together wouldn’t be strong enough to steady the blade. It would take 50 ghosts’ strength or lots of practice. Either way, we didn’t have what we needed. Together we hurry through the swishing doors toward the bedroom when the first scream hits, stopping us cold. We drop the knife from the sound of her terror. I lean over and Shari follows my lead. This time picking up the knife comes easier. More screams. We run through the livingroom. At the bedroom doorway, we see him straddling her mid-section. Both of his arms are high above his head, his white-knuckled hands gripping the serrated blade already baptized with her blood. It drips onto her chest beside the spot where a hole gapes like a small volcano, the tissue shredded from the knife’s coming and going. “I…I can’t go in there,” Shari cries, her feet so still as if bolted to the floor. Although she still half carries the blade, the way her fingers loosely hold it like bent tweezer prongs which don’t quite meet, I don’t know how much longer she’ll be able to help. Shari must have held on better than I thought because as I pull the knife into the bedroom, she stumbles with it, unwilling to let go. The woman sobs, her badly cut left palm open as her arm lay just a few inches from me. Although I try not to look at him, I see his heinous face–the long oval shape of doughy flesh, ruddy and pocked as though time itself lived in his skin. His midnight eyes are half-closed in sexual reverie. I set the knife into her hand and close her fingers around it. Her eyes widen at the sight of the knife, and had I not been holding her fingers, the trembling alone might tip the blade to the floor. Nudging her arm, I start a swing, a furious arc ending with the knife rising toward his chest and burying itself hilt-deep in his heart. His arms fall to his side, the knife he’d held toppling to the floor. With unfocused eyes he looks at the wooden grip of the knife. He blinks once, twice, then this irises remained sightlessly open, trained on something else as his body pitches toward his intended victim. Screaming, she shoves him toward the floor. Once he falls clear of her, she crawls from the bed halfway around the room to avoid him before struggling to her feet and half dragging herself out of the apartment. Shari and I look at each other and then at the body. Without taking our gazes off him, we back away, edging toward the door she’d left open in her desperate flight. The carpet is streaked with her blood and we follow the trail to the open door a scant few inches from freedom. The door, as if spooked by a sudden breeze, slowly closes. “No!” I whispered, rushing toward it, my body already in the half-shadowed doorway before I see the subtle nuance of black against the light. From that darkness I feel hands wrap around my throat. “Welcome to Hell,” he whispers. From behind me, Shari screams. We’ve taken his flesh but not his evil. Flesh gives him limits. We’ve given him freedom. Maria Rachel Hooley has written over 20 novels, including When Angels Cry, New Life Incorporated, and October Breezes. Her poetry has been published in more than 80 national literary magazines. Some of her short fiction has been published in Nocturnal Ooze and Combat Magazine. Her non-fiction has been featured in Red River Family and Byline magazine. Her first chapbook of poetry was published by Rose Rock Press in 1999. When she isn’t teaching English to high school and college students, she is working on her next book. She lives in Oklahoma with her husband and three children. As a parent of a child on the autism spectrum, she is also an advocate for education about autism. 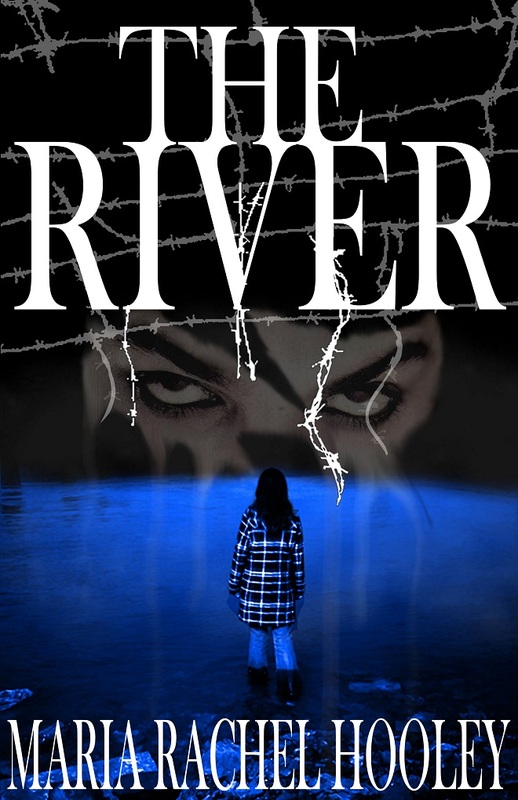 Diana Newport nearly drowns and finds herself on the razor’s edge between life and death. When she returns to the land of the living, she is terrorized with nightmares and visions about Ronald Truman, an executed serial killer who slaughtered and raped twenty-five women and children, strangling them with barbed wire. When the visions begin to come true, Diana realizes that Truman is back and only she can stop him from resuming his killing spree, if she doesn’t become one of his victims. 2. The giveaway runs from now until October 28th at midnight. On October 29th, three winners will be chosen by random.org and contacted. They have 72 hours to reply before the prize defaults to the runner-up. Not eligible to enter, but I just wanted to say that this book sounds awesome!! That was really nice, with a different ending than I expected. That is a fabulous short story! Totally creeped me out! Wow. Very creepy story. I’d love to see where this might go.